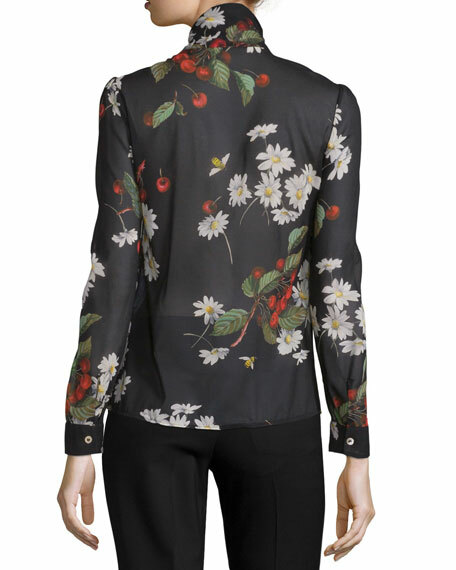 RED Valentino floral and cherry printed chiffon blouse. 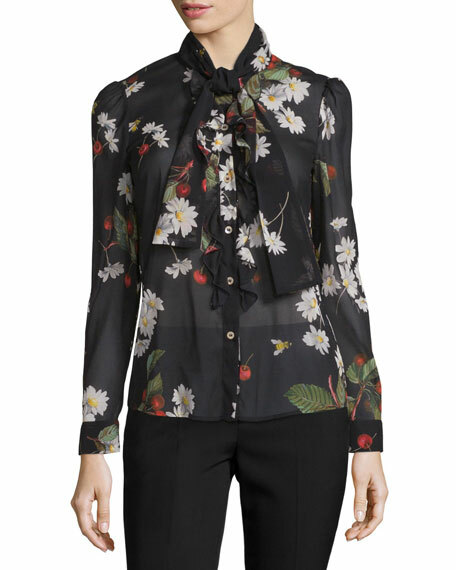 Tie neckline; button front with ruffled bib. 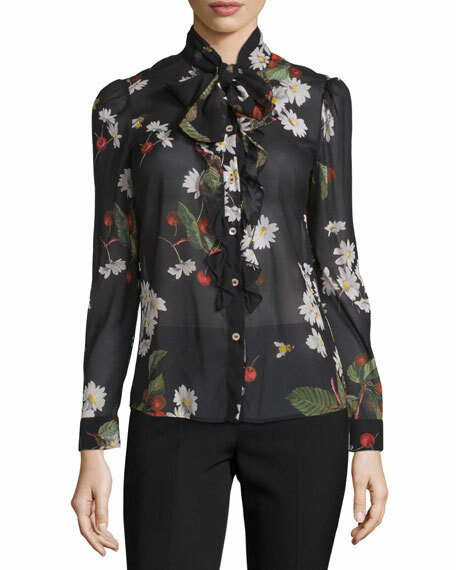 For in-store inquiries, use sku #1652082.